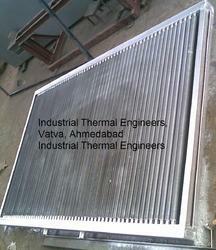 We are a leading Manufacturer of oil heaters for oil industry and textile oil heater from Ahmedabad, India. Keeping the diverse demands and needs of customers in mind, our organization is involved in offering a supreme quality array of Oil Heaters for Oil Industry to our clients. This product is manufactured by experienced professionals using advance tools and quality proven material. Our product range is known for its low operational cost and long service life. Clients can avail these products from us at leading market rates. Our supplied oil heater for textile for stainer and printing machine, yarn drying, rotary printing machine, float dryer, polymerize machine, heat setting machine, cotton dryer, beam dryer, cone dryer, humidity plant, as a air pre heater for boiler plant etc. SPIRAL TENSION WOUND CONTINUOUS CRIMPED TYPE MANUFACTURED FROM MILLED STEEL, . As and when you require Oil heater for textiles please send following details. Heat transfer area in convention finned tube per running meter is 7.3 Sq. ft. while in crimped finned tube area is 9.13 sq.ft. per running meter Pressure loss of air in oval type finned tube and our crimped type finned tube is almost same because of helix construction Lower carbon content tubes allows better welding, compare to ordinary pipes. Copper aluminum finned tubes is the best in performance but cost is not viable. Temperature gradient is reduced in angular direction and hence square, oval or other shape is not efficient. Only our Finned Tube is the best in heat transfer lower in pressure drop and lower in cost. Our tube surface is smooth inside, gives low pressure drop on oil side, compare to ordinary pipe. 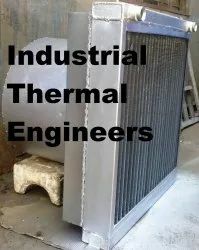 Looking for Oil Heaters for Oil Industry ?